Protect your property from fire risk. From rental properties to home owners, 1300 Smoke Alarms provides that total peace of mind, your safe. Trusted by Real Esate Agents and Owners since 2010.
with some of the best property management companies. Installation and annual servicing to ensure compliance with legislation/s. Annual servicing to ensure switch is present and working. Protect the safety of youg children by securing and labeling blind cords to ACCC standards. Your compliance is now CLOUD-BASED! For a limited time, we'll set up your personalized online agent portal to trial at no cost. Find out how much time and money you can save by streamlining your compliance and never having to do an audit again. For total peace of mind contact us today... plus its FREE! We understand how important attending a beeping smoke alarm is prior to the start of a tenancy. We provide a fast turnaround service and same day response if required. To ensure complete protection year on year we remind you of your yearly annual inspection plus reminders to tenants via email and SMS of our attendance. Our Field Technicians complete all inspections on devices. This information is sent instantly to our portal for download. No more messy paperwork ever again! 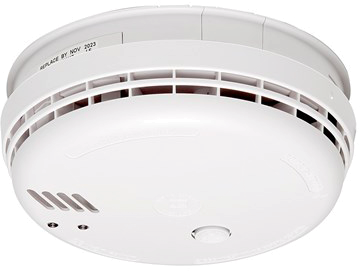 We take photos of all Smoke Alarms and Safety Switches and include them on all reports. At last no more disputes ever and proof of our attendance. Save inputting time with our universal barcoding feature. Located on top right of invoice, your staff no longer need to manually input invoices ever again. Our portal provides online access 24 hours a day. View your compliance rating and job status at a glance. We also integrate with your software. We save you time!